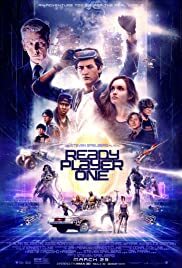 At the promo screening of READY PLAYER ONE, the MC who introduced the movie said that if one enjoys gaming, special effects and CGI, this is the movie, and if not…..” His words are so true, as Steven Spielberg’s latest venture, based on the book of the same name by Ernest Cline is just that – too much going on screen for the average moviegoer to absorb. Half of the humour and logic are completely lost, but on the other hand, half of what transpires on screen might be appreciated. The film is set in the future of 2045 in Chicago where people live in what are called ‘the stacks’ as their cramped quarters are stacked one above the other. The hero of the piece is an orphan, Wade Watts (Sheridan Tye) a youth of 18 who lives with his aunt (Susan Lynch) and her abusive boyfriend. The is is the story’s premise. The world is in the grip of many worries: energy crisis, disaster caused by climate change, famine, poverty, war, etc. In this chaotic world, OASIS is a global virtual reality system ], accessible through head-mounted and haptic devices such as gloves and coveralls. Originally conceived as a massively multiplayer online role-playing game (MMORPG), it has become over time a true virtual society which all humanity uses as an outlet. It is a place everyone wants to be in and where everyone gets to be whoever he wants. The players win coins (shades of bitcoin) but lose everything if they are killed. Its creator, James Halliday (Mark Rylance, who now appears to be Spielberg’s favourite actor), is one of the richest men in the world. Immediately after his death, a video is released in which he appears, explaining that he decided to bequeath his huge fortune, 500 billion dollars, and his company, GSS, to the person who will find an easter egg hidden in the OASIS. The goal is to find three keys scattered in the OASIS and which are the preliminary to the discovery of the egg. The villain of the piece is Nolan Sorrento (Ben Mendelsohn) who for the most part wears a suit and tie. He was Halliday’s partner who wants to own the entire OASIS, though he is not that familiar with all the pop culture that comes with OASIS. He, comically has someone who does, connected to him via headphones so he can impress whoever he wants that he knows all. He tries to foil Wade and his gang from finding the three keys. Yes, there is also romance between wade and Samantha (Olivia Cooke) amidst all going on behind the action. The search for the 3 keys and the east egg (in a film appropriately timed to be released at Easter) takes our heroes though a journey that includes, of all things, Stanley Kubrick’s horror movie THE SHINING. Those familiar with the film will be pleased to see the twin girls and the river of blood coming from the two open doors. The film, despite dwelling on pop culture kitsch has a few sensitive moments – a story of soul to be found in a special effects soulless film. The film looks stunning with cinematography by Oscar winner, Janusz Kaminski (SCHINDLER’S LIST). The film costs a huge bundle of millions to make and it shows. The film astounds as it bores, is soulful as it is soulless, a contradiction in entertainment but nevertheless, an successful failure.